The website https://www.rhodeislandbonds.com/investor-relations/i1518 (the “Site”) is brought to you by BondLink.com (“BondLink,” “we,” “us,” or “our”). BondLink has not prepared or developed any of the Content on the Site, has not reviewed such information in any respect, has not checked such information for accuracy, and in some cases, the information provided may not have been viewed by BondLink. The Content available on the Site with respect to any issuer is not maintained by or under the control of BondLink. The Content on this Site with respect to any issuer was specifically authorized by that issuer to be communicated through this Site. 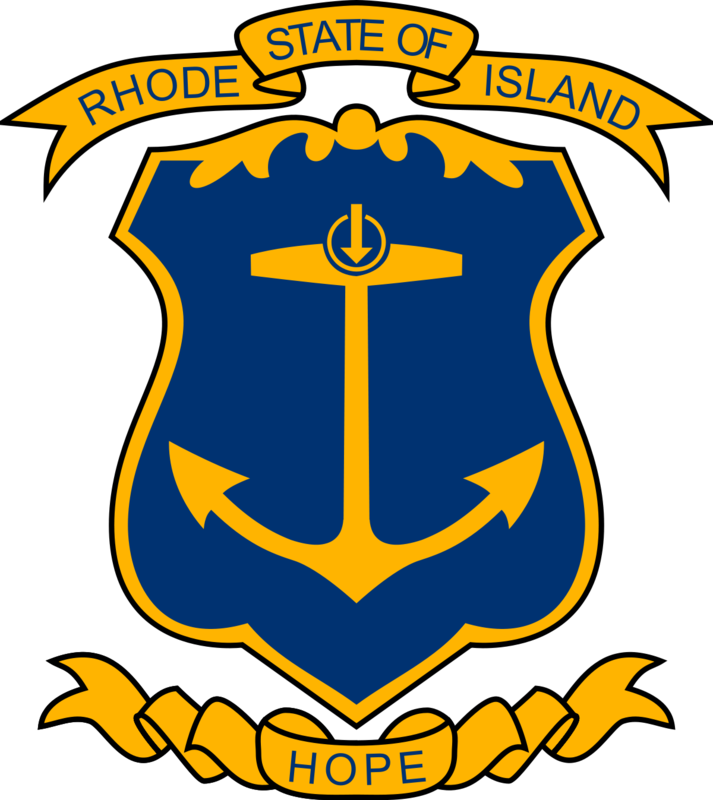 Content contained on the Site has been provided by Rhode Island Investor Relations and is included for general informational purposes only and is provided without warranty of any kind and, in particular, no representation or warranty, express or implied, is made or is to be inferred as to the accuracy, reliability, timeliness or completeness of any such information. 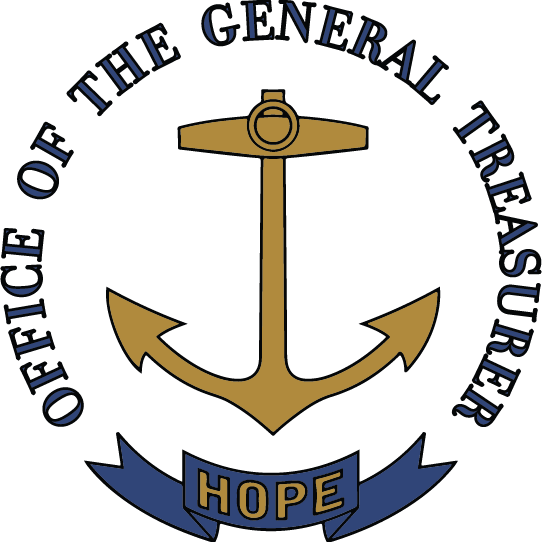 The Content presented on the Site speaks only as of the date the Content was prepared by Rhode Island Investor Relations or other third party and has not been updated since that date and as a result, may not address all factors which may be material to an investor and may contain omissions of fact or statements that are not accurate because of the passage of time or changes in facts or circumstance subsequent to the date of such Content. Consequently, no person should make any investment decision in reliance upon the Content contained on the Site. Content is provided to you AS IS. You understand that neither Rhode Island Investor Relations nor BondLink guarantees the accuracy, safety, integrity or quality of Content and you hereby agree that you must evaluate and bear all risks associated with the Content, and agree that you will not rely on the Content in making any investment decision. THE SITE DOES NOT CONSTITUTE AN OFFER TO SELL OR THE SOLICITATION OF AN OFFER TO SELL OR BUY ANY SECURITIES. OFFERS TO PURCHASE THE BONDS OR NOTES MAY ONLY BE MADE THROUGH A REGISTERED BROKER-DEALER AND THROUGH AN OFFICIAL STATEMENT. You download information from the Site at your own risk. Neither Rhode Island Investor Relations nor BondLink warrants that the Site or materials available therefrom are compatible with your equipment or that any such information is free from invasive or corruptive files or Harmful Code (as defined below). Neither Rhode Island Investor Relations nor BondLink will not be liable or have any responsibility of any kind for any loss or damage that you incur as a result of (a) use of the Site or the Content, including any errors, inaccuracies or omissions in such information, material or data, (b) any harmful features arising from the Site or the Content, (c) the act or omission of any other party involved in making the Site or the Content available to you, or (d) from any other cause relating to your access to, inability to access, or use of the Site or the Content, whether or not the circumstances giving rise to such cause may have been within the control of Rhode Island Investor Relations, BondLink or third parties. ACCESS TO THE SITE AND/OR CONTENT IS PROVIDED “AS IS” AND “AS AVAILABLE” WITHOUT ANY WARRANTY OF ANY KIND, EXPRESS OR IMPLIED. TO THE FULLEST EXTENT PERMISSIBLE PURSUANT TO APPLICABLE LAW, Rhode Island Investor Relations AND BONDLINK DISCLAIM ALL WARRANTIES OF ANY KIND, EITHER EXPRESS OR IMPLIED, INCLUDING BUT NOT LIMITED TO ANY IMPLIED WARRANTIES OF TITLE, MERCHANTIBILITY, FITNESS FOR A PARTICULAR PURPOSE OR NON-INFRINGEMENT. WITHOUT LIMITING THE FOREGOING, NEITHER Rhode Island Investor Relations NOR BONDLINK WARRANT THAT ACCESS TO THE SITE AND/OR CONTENT WILL BE UNINTERRUPTED OR ERROR-FREE, OR THAT DEFECTS, IF ANY, WILL BE CORRECTED; NOR DOES Rhode Island Investor Relations OR BONDLINK MAKE ANY REPRESENTATIONS ABOUT THE ACCURACY, RELIABILITY, CURRENCY, QUALITY, COMPLETENESS, USEFULNESS, PERFORMANCE, SECURITY, LEGALITY OR SUITABILITY OF THE SITE AND/OR CONTENT. YOU EXPRESSLY AGREE THAT YOUR USE OF THE SITE AND/OR CONTENT IS AT YOUR SOLE RISK. YOU SHALL BE SOLELY AND FULLY RESPONSIBLE FOR ANY DAMAGE TO ANY COMPUTER SYSTEM, ANY LOSS OF DATA, OR ANY IMPROPER USE OR IMPROPER DISCLOSURE OF INFORMATION CAUSED BY YOU. Rhode Island Investor Relations AND BONDLINK CANNOT AND DO NOT ASSUME ANY RESPONSIBILITY FOR ANY LOSS, DAMAGES OR LIABILITIES ARISING FROM THE FAILURE OF ANY TELECOMMUNICATIONS INFRASTRUCTURE OR THE INTERNET OR FOR YOUR USE OR MISUSE OF ANY OF THE DATA OR INFORMATION ACCESSED THROUGH THE SITE. EXCEPT WHERE PROHIBITED BY LAW, IN NO EVENT WILL Rhode Island Investor Relations OR BONDLINK BE LIABLE TO YOU OR ANY OTHER PERSON FOR ANY PUNITIVE, EXEMPLARY, CONSEQUENTIAL, INCIDENTAL, INDIRECT OR SPECIAL DAMAGES (INCLUDING, WITHOUT LIMITATION, ANY PERSONAL INJURY, LOST PROFITS, BUSINESS INTERRUPTION, LOSS OF PROGRAMS OR OTHER DATA ON YOUR COMPUTER OR OTHERWISE) ARISING FROM OR IN CONNECTION WITH YOUR USE OF THE SITE AND/OR CONTENT, WHETHER UNDER A THEORY OF BREACH OF CONTRACT, NEGLIGENCE, STRICT LIABILITY, MALPRACTICE OR OTHERWISE, EVEN IF Rhode Island Investor Relations OR BONDLINK HAS BEEN ADVISED OF THE POSSIBILITY OF SUCH DAMAGES. YOU HEREBY RELEASE Rhode Island Investor Relations AND BONDLINK AND HOLD IT AND ITS LICENSORS AND SUPPLIERS HARMLESS FROM ANY AND ALL CLAIMS, DEMANDS AND DAMAGES OF EVERY KIND AND NATURE (INCLUDING, WITHOUT LIMITATION, ACTUAL, SPECIAL, INCIDENTAL AND CONSEQUENTIAL), KNOWN AND UNKNOWN, SUSPECTED AND UNSUSPECTED, DISCLOSED AND UNDISCLOSED, ARISING OUT OF OR IN ANY WAY CONNECTED WITH YOUR USE OF THE SITE AND/OR CONTENT. YOU WAIVE THE PROVISIONS OF ANY STATE OR LOCAL LAW LIMITING OR PROHIBITING A GENERAL RELEASE. WITHOUT LIMITING THE FOREGOING, IN THE EVENT OF ANY PROBLEM WITH THE SITE AND/OR THE CONTENT, YOU AGREE THAT YOUR SOLE AND EXCLUSIVE REMEDY IS TO CEASE USING THE SITE AND/OR THE CONTENT. IF APPLICABLE LAW DOES NOT ALLOW THE LIMITATION OR EXCLUSION OF LIABILITY OR INCIDENTAL OR CONSEQUENTIAL DAMAGES, IN NO EVENT SHALL BONDLINK AND Rhode Island Investor Relations’S TOTAL LIABILITY TO YOU FOR ALL DAMAGES, LOSSES AND CAUSES OF ACTION (WHETHER IN CONTRACT OR TORT, INCLUDING BUT NOT LIMITED TO, NEGLIGENCE) EXCEED THE AMOUNT PAID BY YOU, IF ANY, FOR ACCESSING THIS SITE.